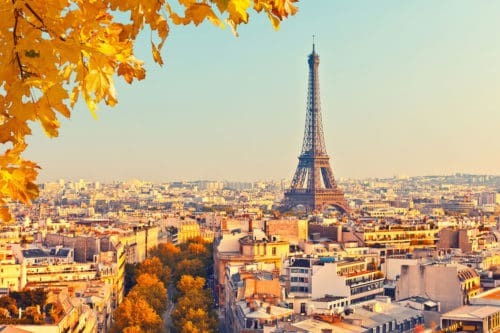 We’ll be visiting Paris in a couple of months (woohoo!) and the plan is include a day trip to Versailles. This will be our first time in what is considered the most grand of all European castles. 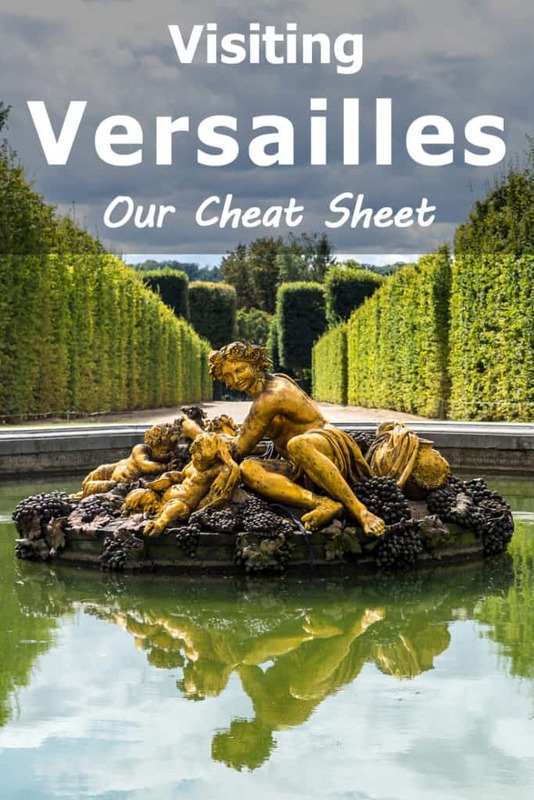 To make the most of one day, I’m putting together this concise sheet cheat with everything a visitor to Versailles needs to know. Especially with kids. 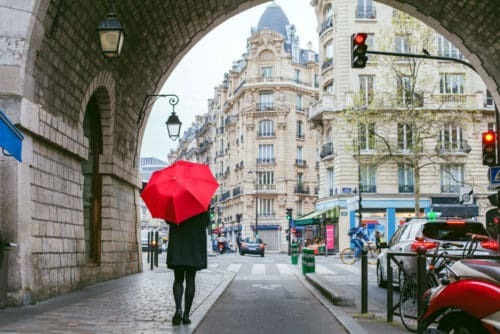 See my Paris Trip Report here and some updates on my list of places to visit in Paris too (based on our trip). This is our crib or cheat sheet, so it has to be practical! I won’t bore you with the story of how Versailles came to be. Not that it’s a boring story, by the way. I watched the awesome BBC documentary, The Rise and Fall of Versailles and trust me, it’s a pretty juicy tale… In fact, I’ll add links in the end of this post. Just don’t watch that with young children as it’s NSFW. Anyway, we’re here today to figure out how to make the most of our visit to Versailles and that means rolling up our sleeves and listing all the nitty gritty details. The gardens and palaces of Versailles are located 12 miles (20 km) west of the heart of Paris. As the proverbial crow flies, it’s really not that far. However, assuming you’re not a bird, it’s going to take you about between an hour to an hour and a half to get to the palace, depending on your starting point and means of transportation. We’re going to do what most tourists do and make this a day trip from Paris. There are several possible routes to get to Versailles from where we’ll be staying (Les Marais) even when using public transportation. Important tip here: When trying to figure out the best route through Google Maps, use Palace of Versailles as your destination. Don’t just enter “Versailles” as that’s the name of the town and you could end up reaching one of the other train or bus stations there, having to walk 1-2 miles to get to the palace. The gardens of Versailles are open daily between 8AM and 6PM, except for summer days when they hold shows in the gardens. On those days, the gates to the gardens close earlier. You’re not there just to see the gardens though. The one thing every visitor has to see is the palace, so opening hours for the palace are what really counts. During the high season, April-October, opening hours are 9am-6.30pm . The rest of the year, November-March, they are 9am-5.30pm. The palace is closed on Mondays and on three dates on the calendar: January 1st, May 1st and Christmas Day (December 25th). 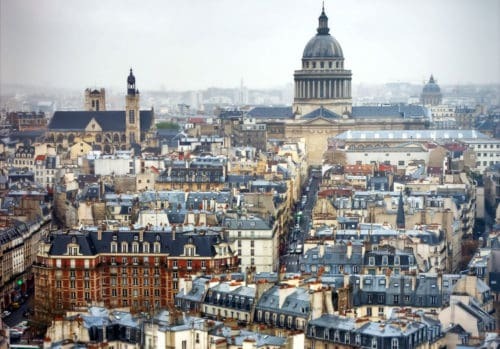 That bit is complicated but of course, made easier by the fact that in all likelihood, your options are limited by the dates of your Paris trip. Generally speaking, the summer is busier than winter, and if you visit during July or August, expect huge crowds and long lines. Weekends are also busier than weekdays. No huge surprise there either. The famous fountains of Versailles don’t run during winter season. They put on their musical shows and evening light shows on various days and times between April and September. Here are the fountains’ timetables. Finally, here’s another useful link. You can browse through that calendar and see which days are busier than others. Again, this may not help much if you’re visiting from overseas and don’t have a choice of season but sometimes just choosing another day of the week can mean smaller crowds. Always important, and even more so when visiting with kids. 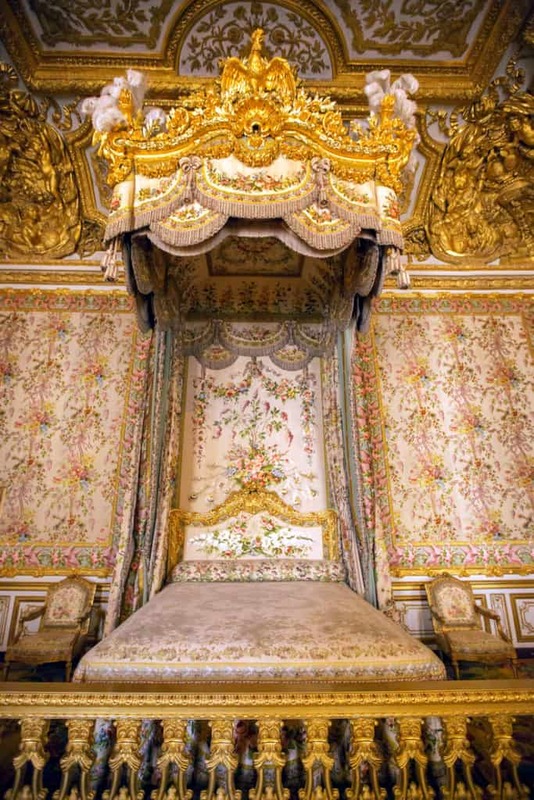 How much does it cost to visit Versailles? Entrance to the Versailles gardens is free for pedestrians. You will have to pay to enter the palace though. Admission price to the palace of Versailles is €18. If you want to add other locations to your visit, such as the Trianon palaces and Marie-Antoinette’s Estate, you should really get the Versailles Passport ticket. It only costs €20 and it will save you money and time. The passport ticket also grants you access to the fountains’ musical shows in season (but that would cost you extra at €27 per ticket). The good news for traveling families is that kids under the age of 18 get in for free! If you happen to be from a country that’s a member of the European Union, you have free admission until the age of 26. I wonder if the British considered that when they voted for Brexit? Versailles is huge and you could probably spend a week there and not see everything. Consider that the kings of France lived there with their wives, concubines and multitude of offspring – some of them officially heirs to the throne – known as dauphines – and others illegitimate children. The king’s courtiers were there as well, of course, including ministers and other people of office. Each one of these people had their own entourage. Add the servants and soldiers and you’ll see why this in itself is the equivalent of a small town. With limited time and accompanied by kids with a limited attention span, I need to know what are the most important things to see in Versailles. 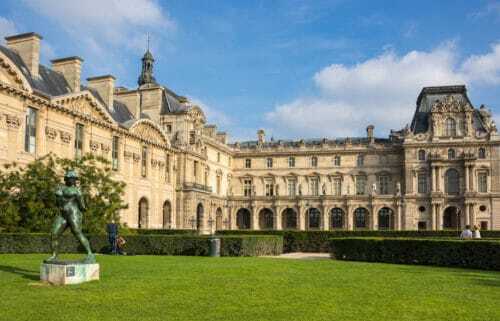 After reading tons of posts and trip reports, here are the top attractions of Versailles, the ones that you need to make an effort to see, even with kids in tow. This UNESCO’s World Heritage site is one of the largest palaces in the world with 721,206 square feet (67,002 m2) of floorspace. The official website of Versailles has a great interactive map of the palace and grounds. You can use this map to explore and see where everything is in the palace. Click where it says Garden Level and First Floor to peek into the palace’s rooms and set your course. It’s hard to lose your way, even if you don’t have a map. In order to deal with the throngs of tourists, this place is set up like Ikea, with a clearly-marked one-directional route. If you wish, there’s an audio guide which you can pick up at the entrance (included in the price of your ticket), so you don’t have to worry about missing out on anything important. That said, tour guide Anna Hartley suggests making a beeline to the first floor if you’re in a hurry or with small kids. That’s where the Hall of Mirrors and other glitzy stuff is while the ground floor is dedicated to the history museum. Some rooms are only available for viewing by groups on a guided tour. Several of these tours are offered on a daily basis. They cost an additional €7 per person (children under the age of 10 go free) and you can register when you buy your tickets or at the entrance. The Trianon is an area located 1.2 miles away from the main palace. This is where you’ll find two smaller chateaus: Le Grand Trianon and Le Petit Trianon. 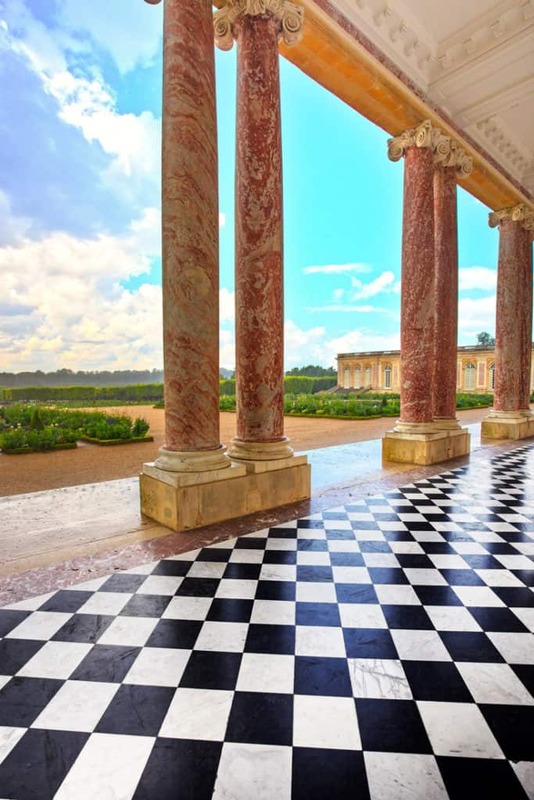 This is the “informal” side of Versailles where the kings would retire to with their preferred guests and lovers, away from at least some of those pesky courtiers. Le Grand Trianon is pretty impressive, in size and decor. Le Petit Trianon is smaller but still ornate and decorated. I guess they had a different view of what “informal” means. 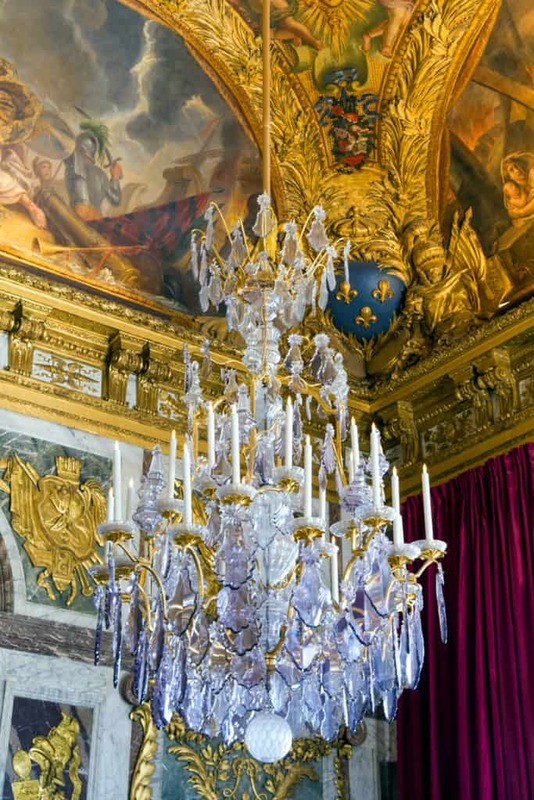 A look from Le Grand Trianon – how’s that for subdued decor? Nearby, you’ll find Marie-Antoinette’s Estate and the Queen’s Hamlet. Why does the Queen’s Estate look like a little English village? I’m glad you asked. You know how little girls like to pretend they are princesses? Well, this is something similar. 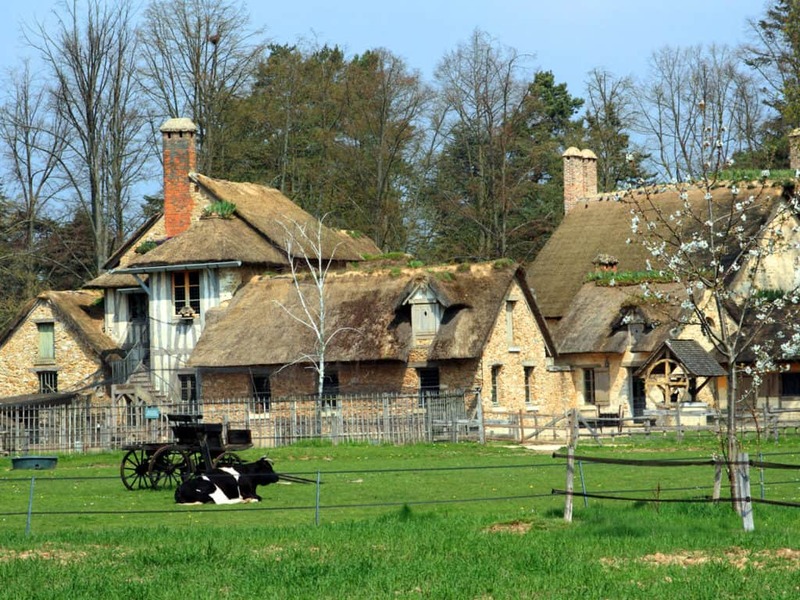 Only it’s sort of the opposite… This is Marie-Antoinette’s version of her own little theme park – a country farm setting where she could pretend to be a milkmaid and walk around feeding the farm animals. Perfect for a visit with young children, by the way, so don’t miss out on this spot in the Trianon. Exiting the palace to the west, you’ll arrive at the collection of formal gardens. 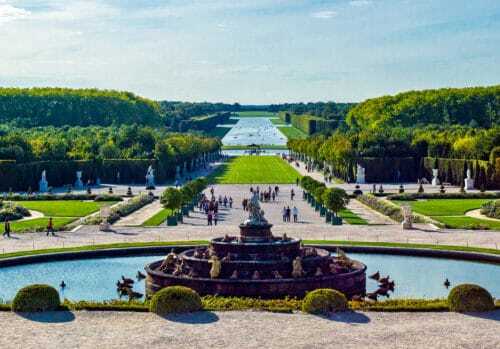 Beyond the two large rectangular ponds, you can step close to the steps and take in the “Grand Perspective” – a truly majestic view of the grand canal and the gardens. 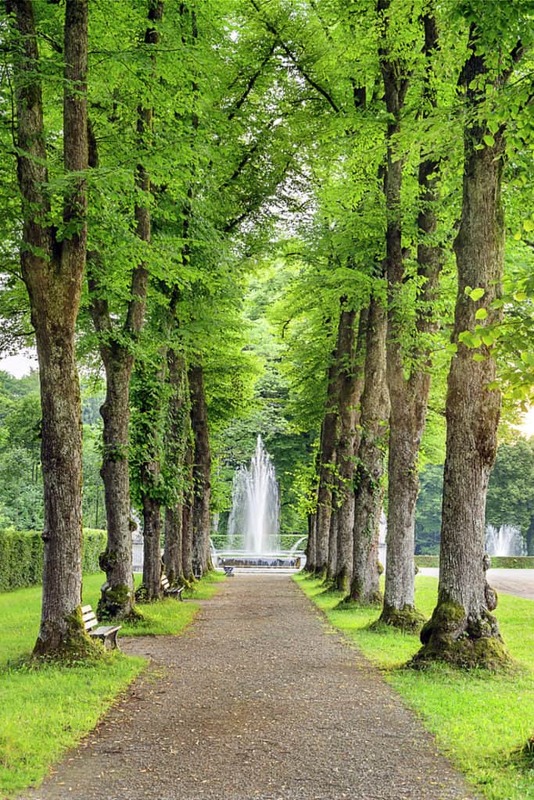 As you make your way to the canal, you’ll be walking past numerous fountains, groves and formal gardens. The one spot not to be missed is Neptune fountain but others are beautiful as well. Beyond the gardens and palaces, there’s a large green expanse with lovely trails. If the weather is nice and the kids antsy, this is a great place for the whole family to take a short hike, possibly to the end of the grand canal and back. You can rent a pair of bicycles near one of the restaurants along the Grand Canal. It’s not cheap, at €7.50 per hour but it’s a nice way to see more of the park. Between March and mid-November you can also rent a boat in the canal. Here’s a collection of tips I gathered from numerous blog posts and guides about visiting Versailles. 1. Get your tickets online. The general rule of thumb when visiting Versailles is: Try to avoid the lines. They are long and tediously slow, especially on weekends and during the summer. Get your tickets in advance here. If you’re traveling with kids, particularly teenagers, make sure you have their passports with you, or some other form of ID that proves their age. The palace opens at 9AM and you should be there there as early as possible and get your spot in the line. If you booked your ticket in advance, make sure you’re in the line for the security checks and not for the tickets booth. 3. Start with the palace. This tip goes along with the previous one. Show up early and start with the palace. If you can’t arrive early in the morning, you may want to wait for the afternoon to visit the palace. For one thing, there’s lots of interesting things to see there. For another, it’s not as crowded as the palace. Tourists hit the palace in busloads but most get back to the bus once they’ve seen the palace and had a peek at the gardens, making the Trianon less crowded. I think this is it really. If you’ve been to Versailles and can offer me more tips and advice, please do leave a comment. Or just leave a comment anyway if you feel like it. I love comments! Thank you for your excellent article – you’ve really helped me to get my thoughts in order re: our upcoming visit to Versailles in April. My husband and I will visit for one day with our 8-year-old daughter. I’m tempted by the “Music Garden” event on Tuesdays, but am starting to think we might be better to choose another day in order to avoid the increased crowd these events generate. As we’ll have a Paris Carte Musees, so won’t need to book tickets for Versailles for a particular day, we can then also time our visit to coincide with pleasant weather. We’ll definitely be heeding your advice to head off early and get there before opening time (aiming for about 8.30 in the queue for Palace), see the Palace first then spend the rest of the day enjoying the gardens and the Trianon area in the afternoon. So glad I could help Sarah! And yes on the early arrival! We ended up visiting last April and got there just before 9. There was already a long queue at the gates. We split up – my husband taking our place in the queue with me going over to get our pre-ordered tickets. Surprisingly, there was almost no wait at the tickets office. Two minutes later I was out of there and joining him at the queue. So, when you see the line, these are all ticket holders! It took us a few minutes to figure out we needed to stand in that line (having pre-ordered the tickets, we thought maybe there was a shorter line for ticket holders). During those five minutes, about 100 additional people queued up. So yet, every minute matters. We got there maybe around 8:50 and I’m sure arriving at 8:30 would have saved us about half an hour of wait. Not the end of the world, but earlier is definitely better. The lines are a problem all over the main attractions in Paris. We regretfully avoided entering the Louvre, Notre Dame and the catacombs when we got there and saw the lines. My boys are older than your daughter but still didn’t want to wait for 1-2 hours in line to see any of these places. Frankly, neither did we. 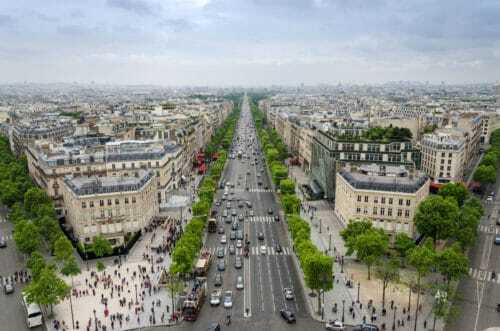 The good news is that Paris is beautiful and awesome even without waiting in line for the more popular attractions. Do check out my Paris trip report to see what we ended up doing. Hi! Dear family, my name is Viviana and I’ve been at Versailles twice. First time my husband and me went with a tour… it was awful! They got us to the palace late so we couldn’t visit the gardens and I thought all Paris and sorroundings were with us in the inside. Thank you so much for your comment, Viviana! We returned from our own trip to Europe only yesterday. I plan on writing detailed trip reports but for now I’ll just say Versailles Palace did feel very crowded. We had bought the ticket online and were there at 9:15AM and the line was already an hour long! People who arrived 15 minutes later had to wait for double that amount of time! I found the palace a bit underwhelming considering the time we had to stand in line for it. The Opera House in Paris was actually more impressive and there were no lines when we got there in the afternoon. I also loved Marie Antoinette’s hamlet! Strolling around in the gardens was pretty awesome!